24 Jan 2019 --- Canada’s revised food guide, updated from the 2007 version, has shifted its recommendations towards a plant-based diet, is less focused on meat and dairy and eliminates some food groups. The dramatic overhaul by Health Canada is receiving mixed reactions. The federal government’s recommendations are coming under fire from the country’s dairy industry which is pointing out the distinct lack of advice towards consuming milk, while nutrition experts believe the updates provide guidelines for a healthy diet that Canadians can tailor to their own dietary preferences and cultural norms. 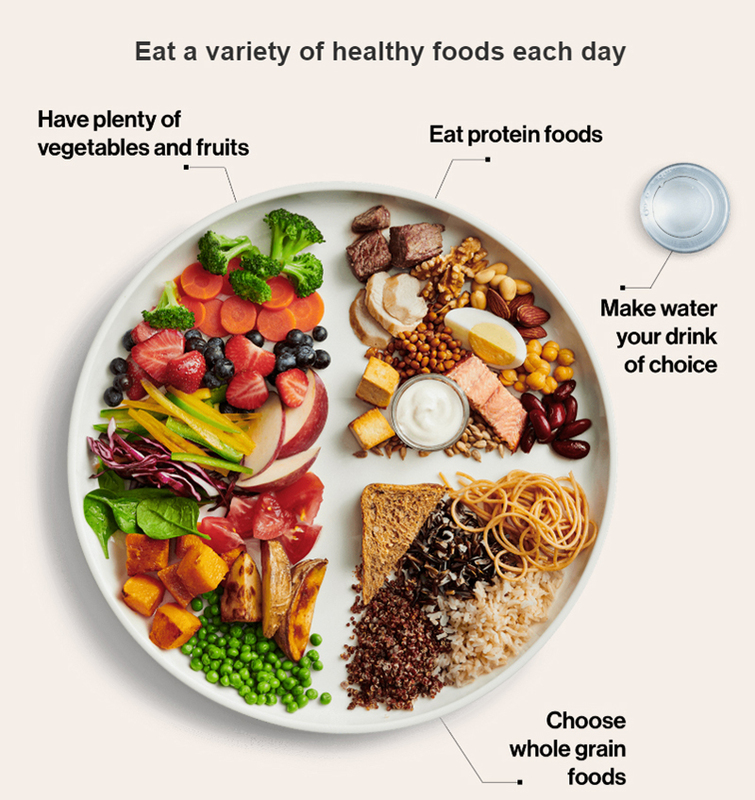 There is now a distinct focus on pulses designed to encourage a plant-heavy eating plan, with Health Canada recommending that fresh fruit and vegetables make up half the plate of any meal and advice that a “variety of healthy foods” should be eaten each day. Although the protein section is taken up by beans, nuts and pulses, there is some space on the plate for chicken, beef, fish and dairy. The Food Guide is not advocating giving up meat and dairy, but is directing Canadians to consider the variety of foods they eat. The food guide has been praised by some for giving much more simple advice: make water your drink of choice, choose whole grains, ease up on the animal products, cut down on alcohol and eat foods high in protein. According to Canadian Health Minister Ginette Petitpas Taylor, the Food Guide reflects an important concept. “Healthy eating is more than just the food you eat. It puts more focus on what, when and how we eat, and less focus on food groups and servings,” she says. Speaking to NutritionInsight, Professor Jess Haines, from the Department of Family Relations and Applied Nutrition at the University of Guelph, Canada, believes the new food guide moves away from a one-size fits all approach with specific guidelines on what foods to eat and in what amounts and instead provides overall guidelines for a healthful diet. The new Food Guide recommendations closely follow the EAT-Lancet Commission on Food, Planet and Health that was published last week which provides a recommended diet to support the growing population nutritiously and sustainably. Industry experts and academics aired their mixed responses to the landmark study. The significant recommendations include amendments to food production and reductions in food waste. Although many have welcomed the study’s goals and scientific approach, questions have been posed as to the viability of the far-stretching policy changes it proposes, as well as the utility of one set of dietary recommendations deemed suitable for everyone. Similar to the EAT-Lancet report, Canada’s Food Guide recommends eating more vegetables and fruit, whole grains, plant-based proteins, and less animal-based proteins and highly-processed foods and beverages, including sugary drinks. “The environmental impact of our food choices was one of the key factors Health Canada considered when establishing these recommendations,” notes Haines. The science and the communication of the benefits of fruits and vegetables is challenging. Stating that one diet is animal-based vs. plant-based implies the diet excludes the other. “The language in the guide is actually more inclusive and recognizes the inclusion of animal and plant-based proteins in a healthy diet but with an emphasis of a greater proportion from plants,” Professor Ma adds. As with other countries’ food policies and recommendations, Canada’s Food Guide is one of the most-requested publications, used for reference by schools, families and hospitals across the country. Over the years, it has been highly influential in terms of how people tackle their diets and wellbeing. The revisions to the country’s food recommendations will likely have ramifications for the agricultural industry. Dairy Farmers of Canada (DFC) is concerned that the updated Food Guide does not reflect the most recent and mounting scientific evidence available. The organization claims there is abundant research that demonstrates that milk products with various fat content can be a part of a healthy diet. “While the food guide has changed, milk products continue to play a valuable role in helping Canadians make healthy-eating decisions on a daily basis,” says Isabelle Neiderer, Director of Nutrition & Research at Dairy Farmers of Canada. The scientific evidence supporting the nutritional benefits of milk products in the promotion of bone health and prevention of chronic diseases, for instance, is stronger than ever, and new evidence continues to accumulate, she adds. “Current and emerging scientific evidence does not support a continued focus on lower fat milk products as it reveals that milk products that contain more fat are not associated with harmful health effects and could even provide benefits,” Neiderer notes. Research continues to confirm that milk proteins rank as some of the highest quality available, but the nutritional benefits of milk products go far beyond their protein content, according to Neiderer. “We encourage Canadians to continue considering these when making food choices. Research continues to confirm that milk products are particularly important for the optimal growth and development of children and preserving healthy bones and muscles in aging adults,” she explains. Professor Simon Somogyi, Arrell Chair in the Business of Food at Guelph University, talks to NutritionInsight about the types of challenges the new Food Guide may present to the meat and dairy sectors. “In Canada, we still have supply management (quota systems) in the dairy, poultry and egg sector. Under supply management rules, the dairy sector cannot export and is,therefore, solely focussed on the domestic market,” he explains. “A major shift in policy for dairy is needed to for them to be more focussed on export market products particularly in the value-added arena. The supply managed sectors are supported by powerful lobby group advocating the status quo which is why Canada is one of the few countries in the world to still have quota systems.”. The corporate food sector, including meat processors/ branders, have greater access to capital and are already investing in plant-based alternatives. As an example, Maple Leaf (a major Canadian meat company) is heavily investing in plant-based protein companies. 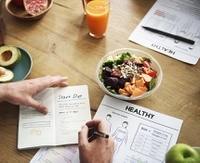 NutritionInsight also speaks with Natacha Gouveia, Head of Communications at Danone Canada, for its take on the new Food Guide. Plant-based foods are versatile and tasty while each provides a variety of different nutrients such as protein, fiber, folate, antioxidants, phytochemicals and mostly unsaturated fats, she notes. Yogurt is a high nutrient-dense fermented food enjoyed throughout the day and in cooking with a key source of protein, calcium, magnesium and vitamin B12 associated with various health benefits. The Food Guide also advises Canadians to use labels to get more information, beware of food marketing, cook more often and to be mindful of eating habits. Health & Wellness Plant-Based Proteins Animal-Based Food Guide Canada Danone Milk Dairy Food Groups Health Canada Pulses Fruit Vegetables University Of Guelph Dairy Farmers Of Canada.